"Animal behaviour" redirects here. For other uses, see Animal behaviour (disambiguation). For the journal, see Ethology (journal). The term ethology derives from the Greek language: ἦθος, ethos meaning "character" and -λογία, -logia meaning "the study of". The term was first popularized by American myrmecologist (a person who studies ants) William Morton Wheeler in 1902. Because ethology is considered a topic of biology, ethologists have been concerned particularly with the evolution of behaviour and its understanding in terms of natural selection. 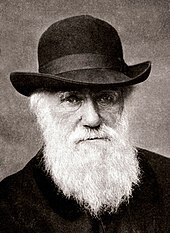 In one sense, the first modern ethologist was Charles Darwin, whose 1872 book The Expression of the Emotions in Man and Animals influenced many ethologists. He pursued his interest in behaviour by encouraging his protégé George Romanes, who investigated animal learning and intelligence using an anthropomorphic method, anecdotal cognitivism, that did not gain scientific support. Due to the work of Konrad Lorenz and Niko Tinbergen, ethology developed strongly in continental Europe during the years prior to World War II. After the war, Tinbergen moved to the University of Oxford, and ethology became stronger in the UK, with the additional influence of William Thorpe, Robert Hinde, and Patrick Bateson at the Sub-department of Animal Behaviour of the University of Cambridge. In this period, too, ethology began to develop strongly in North America. Ethology is now a well-recognized scientific discipline, and has a number of journals covering developments in the subject, such as Animal Behaviour, Animal Welfare, Applied Animal Behaviour Science, Animal Cognition, Behaviour, Behavioral Ecology and Journal of Ethology, Ethology. In 1972, the International Society for Human Ethology was founded to promote exchange of knowledge and opinions concerning human behaviour gained by applying ethological principles and methods and published their journal, The Human Ethology Bulletin. In 2008, in a paper published in the journal Behaviour, ethologist Peter Verbeek introduced the term "Peace Ethology" as a sub-discipline of Human Ethology that is concerned with issues of human conflict, conflict resolution, reconciliation, war, peacemaking, and peacekeeping behaviour. In 1972, the English ethologist John H. Crook distinguished comparative ethology from social ethology, and argued that much of the ethology that had existed so far was really comparative ethology—examining animals as individuals—whereas, in the future, ethologists would need to concentrate on the behaviour of social groups of animals and the social structure within them. E. O. Wilson's book Sociobiology: The New Synthesis appeared in 1975, and since that time, the study of behaviour has been much more concerned with social aspects. It has also been driven by the stronger, but more sophisticated, Darwinism associated with Wilson, Robert Trivers, and W. D. Hamilton. The related development of behavioural ecology has also helped transform ethology. 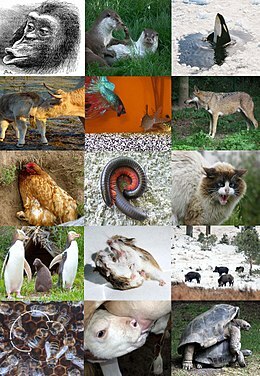 Furthermore, a substantial rapprochement with comparative psychology has occurred, so the modern scientific study of behaviour offers a more or less seamless spectrum of approaches: from animal cognition to more traditional comparative psychology, ethology, sociobiology, and behavioural ecology. One investigation of this kind was the study of the waggle dance ("dance language") in bee communication by Karl von Frisch. Associative learning in animal behaviour is any learning process in which a new response becomes associated with a particular stimulus. The first studies of associative learning were made by Russian physiologist Ivan Pavlov, who observed that dogs trained to associate food with the ringing of a bell would salivate on hearing the bell. Imprinting enables the young to discriminate the members of their own species, vital for reproductive success. This important type of learning only takes place in a very limited period of time. Lorenz observed that the young of birds such as geese and chickens followed their mothers spontaneously from almost the first day after they were hatched, and he discovered that this response could be imitated by an arbitrary stimulus if the eggs were incubated artificially and the stimulus were presented during a critical period that continued for a few days after hatching. Teaching is a highly specialized aspect of learning in which the "teacher" (demonstrator) adjusts their behaviour to increase the probability of the "pupil" (observer) achieving the desired end-result of the behaviour. For example, killer whales are known to intentionally beach themselves to catch pinniped prey. Mother killer whales teach their young to catch pinnipeds by pushing them onto the shore and encouraging them to attack the prey. Because the mother killer whale is altering her behaviour to help her offspring learn to catch prey, this is evidence of teaching. Teaching is not limited to mammals. Many insects, for example, have been observed demonstrating various forms of teaching to obtain food. Ants, for example, will guide each other to food sources through a process called "tandem running," in which an ant will guide a companion ant to a source of food. It has been suggested that the pupil ant is able to learn this route to obtain food in the future or teach the route to other ants.This behaviour of teaching is also exemplified by crows, specifically New Caledonian crows. The adults (whether individual or in families) teach their young adolescent offspring how to construct and utilize tools. For example, Pandanus branches are used to extract insects and other larvae from holes within trees. Individual reproduction is the most important phase in the proliferation of individuals or genes within a species: for this reason, there exist complex mating rituals, which can be very complex even if they are often regarded as fixed action patterns. The stickleback's complex mating ritual, studied by Tinbergen, is regarded as a notable example. When biologists interested in evolution theory first started examining social behaviour, some apparently unanswerable questions arose, such as how the birth of sterile castes, like in bees, could be explained through an evolving mechanism that emphasizes the reproductive success of as many individuals as possible, or why, amongst animals living in small groups like squirrels, an individual would risk its own life to save the rest of the group. These behaviours may be examples of altruism. Of course, not all behaviours are altruistic, as indicated by the table below. For example, revengeful behaviour was at one point claimed to have been observed exclusively in Homo sapiens. However, other species have been reported to be vengeful including chimpanzees, as well as anecdotal reports of vengeful camels. One advantage of group living can be decreased predation. If the number of predator attacks stays the same despite increasing prey group size, each prey may have a reduced risk of predator attacks through the dilution effect. [page needed] Further, according to the selfish herd theory theory, the fitness benefits associated with group living vary depending on the location of an individual within the group. The theory suggests that conspecifics positioned at the centre of a group will reduce the likelihood predations while those at the periphery will become more vulnerable to attack. Additionally, a predator that is confused by a mass of individuals can find it more difficult to single out one target. For this reason, the zebra's stripes offer not only camouflage in a habitat of tall grasses, but also the advantage of blending into a herd of other zebras. In groups, prey can also actively reduce their predation risk through more effective defence tactics, or through earlier detection of predators through increased vigilance. Theoretically, social animals should have optimal group sizes that maximize the benefits and minimize the costs of group living. However, in nature, most groups are stable at slightly larger than optimal sizes. [page needed] Because it generally benefits an individual to join an optimally-sized group, despite slightly decreasing the advantage for all members, groups may continue to increase in size until it is more advantageous to remain alone than to join an overly full group. ^ "Definition of ethology". Merriam-Webster. Retrieved 9 September 2016. ^ "Definition of behaviorism". Merriam-Webster. Retrieved 9 September 2016. ^ "The Nobel Prize in Physiology or Medicine 1973". Nobelprize.org. Retrieved 9 September 2016. The Nobel Prize in Physiology or Medicine 1973 was awarded jointly to Karl von Frisch, Konrad Lorenz and Nikolaas Tinbergen 'for their discoveries concerning organization and elicitation of individual and social behaviour patterns'. ^ Gomez-Marin, Alex; Paton, Joseph J; Kampff, Adam R; Costa, Rui M; Mainen, Zachary F (28 October 2014). "Big behavioral data: psychology, ethology and the foundations of neuroscience". Nature Neuroscience. 17 (11): 1455–1462. doi:10.1038/nn.3812. ISSN 1097-6256. PMID 25349912. ^ McGreevy, Paul; Boakes, Robert (2011). Carrots and Sticks: Principles of Animal Training. Darlington Press. pp. xi–23. ISBN 978-1-921364-15-0. Retrieved 9 September 2016. ^ a b c Matthews, Janice R.; Matthews, Robert W. (2009). Insect Behaviour. Springer. p. 13. ISBN 978-90-481-2388-9. ^ Keeley, Brian L. (2004). "Anthropomorphism, primatomorphism, mammalomorphism: understanding cross-species comparisons" (PDF). York University. p. 527. Archived (PDF) from the original on 17 December 2008. Retrieved 19 December 2008. ^ Bateson, Patrick (1991). The Development and Integration of Behaviour: Essays in Honour of Robert Hinde. Cambridge University Press. p. 479. ISBN 978-0-521-40709-0. ^ Encyclopædia Britannica (1975). Yearbook of science and the future. p. 248. ^ Verbeek, Peter (2008). "Peace Ethology". Behaviour. 145 (11): 1497–1524. doi:10.1163/156853908786131270. ^ Crook, John H.; Goss-Custard, J. D. (1972). "Social Ethology". Annual Review of Psychology. 23 (1): 277–312. doi:10.1146/annurev.ps.23.020172.001425. ^ Ardrey, Robert (1970). The Social Contract: A Personal Inquiry into the Evolutionary Sources of Order and Disorder. Atheneum. ^ a b Wilson, Edward O. (2000). Sociobiology: the new synthesis. Harvard University Press. p. 170. ISBN 978-0-674-00089-6. ^ Davies, N. B. (2012). An introduction to behavioural ecology. Wiley-Blackwell. ISBN 978-1-4051-1416-5. OCLC 785989129. ^ Campbell, N. A. (1996). "Chapter 50". Biology (4 ed.). Benjamin Cummings, New York. ISBN 978-0-8053-1957-6. ^ Bernstein, W. M. (2011). A Basic Theory of Neuropsychoanalysis. Karnac Books. p. 81. ISBN 978-1-85575-809-4. ^ Tinbergen, Niko (1951). The Study of Instinct. Oxford University Press, New York. ^ Tinbergen, Niko (1953). The Herring Gull's World. Collins, London. ^ Buchmann, Stephen (2006). Letters from the Hive: An Intimate History of Bees, Honey, and Humankind. Random House of Canada. p. 105. ISBN 978-0-553-38266-2. ^ Breed, M. D. (2001). "Habituation". Retrieved 9 September 2014. ^ Keil, Frank C.; Wilson, Robert Andrew (2001). The MIT encyclopedia of the cognitive sciences. MIT Press. p. 184. ISBN 978-0-262-73144-7. ^ Bouton, M. E. (2007). Learning and behavior: A contemporary synthesis. Sunderland. ^ "Associative learning". Encyclopædia Britannica. Retrieved 9 September 2014. ^ Hudmon, Andrew (2005). Learning and memory. Infobase Publishing. p. 35. ISBN 978-0-7910-8638-4. ^ Mercer, Jean (2006). Understanding attachment: parenting, child care, and emotional development. Greenwood Publishing Group. p. 19. ISBN 978-0-275-98217-1. ^ "Imitation Promotes Social Bonding in Primates, August 13, 2009 News Release". National Institutes of Health. 13 August 2009. Archived from the original on 22 August 2009. Retrieved 8 November 2011. ^ Horner, Victoria; et al. (19 May 2010). "Prestige Affects Cultural Learning in Chimpanzees". PLoS ONE. 5 (5): e10625. Bibcode:2010PLoSO...510625H. doi:10.1371/journal.pone.0010625. ISSN 1932-6203. PMC 2873264. PMID 20502702. ^ Hoppitt, W.; Laland, K. N. (2013). Social Learning: An Introduction to Mechanisms, Methods, and Models. Princeton University Press. ISBN 978-1-4008-4650-4. ^ Galef, B. G.; Giraldeau, L.-A. (2001). "Social influences on foraging in vertebrates: Causal mechanisms and adaptive functions". Animal Behaviour. 61 (1): 3–15. doi:10.1006/anbe.2000.1557. PMID 11170692. ^ F.M.J. Sommerlandt; W. Huber; J. Spaethe (2014). "Social information in the Stingless Bee, Trigona corvina Cockerell (Hymenoptera: Apidae): The use of visual and olfactory cues at the food site". Sociobiology. 61 (4): 401–406. doi:10.13102/sociobiology.v61i4.401-406. ISSN 0361-6525. ^ "Japanese Macaque - Macaca fuscata". Blueplanetbiomes.org. Retrieved 8 November 2011. ^ a b Rendell, Luke; Whitehead, Hal (2001). "Culture in whales and dolphins" (PDF). Behavioral and Brain Sciences. 24 (2): 309–324. doi:10.1017/s0140525x0100396x. PMID 11530544. ^ Hoppitt, W. J.; Brown, G. R.; Kendal, R.; Rendell, L.; Thornton, A.; Webster, M. M.; Laland, K. N. (2008). "Lessons from animal teaching". Trends in Ecology & Evolution. 23 (9): 486–93. doi:10.1016/j.tree.2008.05.008. PMID 18657877. ^ Rutz, Christian; Bluff, Lucas A.; Reed, Nicola; Troscianko, Jolyon; Newton, Jason; Inger, Richard; Kacelnik, Alex; Bearhop, Stuart (September 2010). "The Ecological Significance of Tool Use in New Caledonian Crows". Science. 329 (5998): 1523–1526. Bibcode:2010Sci...329.1523R. doi:10.1126/science.1192053. PMID 20847272. ^ Tinbergen, Niko; Van Iersel, J. J. A. (1947). "'Displacement Reactions' in the Three-Spined Stickleback". Behaviour. 1 (1): 56–63. doi:10.1163/156853948X00038. JSTOR 4532675. ^ Rajecki, D. W. (1988). "Formation of leap orders in pairs of male domestic chickens". Aggressive Behavior. 14 (6): 425–436. ^ Cummings, Mark; Zahn-Waxler, Carolyn; Iannotti, Ronald (1991). Altruism and aggression: biological and social origins. Cambridge University Press. p. 7. ISBN 978-0-521-42367-0. ^ McCullough, Michael E. (2008). Beyond Revenge: The Evolution of the Forgiveness Instinct. John Wiley & Sons. pp. 79–80. ISBN 978-0-470-26215-3. Retrieved 27 December 2016. ^ De Waal, Franz (2001). The Ape and the Sushi Master: Cultural Reflections by a Primatologist. Basic Books. p. 338. ISBN 978-0-465-04176-3. Retrieved 27 December 2016. ^ Dawkins, Richard (January 1979). "Twelve Misunderstandings of Kin Selection". Zeitschrift für Tierpsychologie. 51: 184–200. doi:10.1111/j.1439-0310.1979.tb00682.x (inactive 13 March 2019). ^ Ågren, J. Arvid (2016). "Selfish genetic elements and the gene's-eye view of evolution". Current Zoology. 62 (6): 659–665. doi:10.1093/cz/zow102. ISSN 1674-5507. PMC 5804262. PMID 29491953. ^ a b c d e Davies, Nicholas B.; Krebs, John R.; West, Stuart A. (2012). An Introduction to Behavioural Ecology (4th ed.). John Wiley & Sons. ISBN 978-1-4443-3949-9. ^ Hamilton, W. D. (1971). "Geometry for the Selfish Herd". Journal of Theoretical Biology. 31 (2): 295–311. doi:10.1016/0022-5193(71)90189-5. PMID 5104951. ^ "How do a zebra's stripes act as camouflage?". HowStuffWorks.com. 15 April 2008. Retrieved 26 December 2016. ^ Riley, J.; Greggers, U.; Smith, A.; Reynolds, D. R.; Menzel, R. (2005). "The flight paths of honeybees recruited by the waggle dance". Nature. 435 (7039): 205–207. Bibcode:2005Natur.435..205R. doi:10.1038/nature03526. PMID 15889092. ^ Rathads, Triana (29 August 2007). "A Look at Animal Social Groups". Science 360. Archived from the original on 8 May 2014. Retrieved 22 April 2014. ^ Sibley, R. M. (1983). "Optimal group size is unstable". Animal Behaviour. 31 (3): 947–948. doi:10.1016/s0003-3472(83)80250-4. ^ Tinbergen, Niko (1963). "On aims and methods in ethology". Zeitschrift Fur Tierpsychologie. 20 (4): 410–433. doi:10.1111/j.1439-0310.1963.tb01161.x. ^ MacDougall-Shackleton, Scott A. (27 July 2011). "The levels of analysis revisited". Philosophical Transactions of the Royal Society B: Biological Sciences. 366 (1574): 2076–2085. doi:10.1098/rstb.2010.0363. PMC 3130367. PMID 21690126. ^ Barrett et al. (2002) Human Evolutionary Psychology. Princeton University Press.